I can only imagine how frustrating it must be to be told you’ve been cured of a disease when you’re still experiencing symptoms. Yet that’s the case for many people who have endured a bacterial infection that’s on the rise in the US. Although their tests start to come back clear, many patients have lingering symptoms that can last for months or years. The clear tests may cause doctors to minimize the patients’ experiences. But new research out of Johns Hopkins indicates that the symptoms are far from being all in their heads. For a study published in Frontiers in Medicine, the researchers gathered 61 participants who had been treated for Lyme disease, which is caused by a bacteria commonly transmitted by ticks, and compared them to a group of healthy controls. 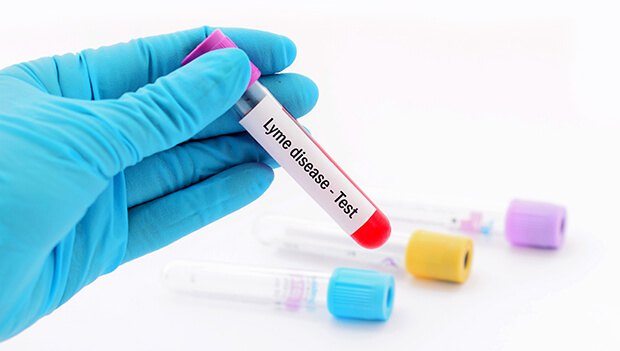 The participants had developed a condition called post-treatment Lyme disease syndrome (PTLDS), in which patients report severe symptoms such as fatigue, pain, insomnia, and depression that last at least six months even though tests can no longer detect the infection in their bodies. This condition is not yet well understood, making it difficult to treat. For the study, the researchers had the participants and the controls take a variety of tests and questionnaires. Although there were few differences between the two groups when it came to the physical exams and clinical laboratory tests, the questionnaires told a different story. Approximately 50% of the participants with PTLDS reported severe fatigue, 28% severe pain, 23% severe cognitive issues, and 31% severe sleep difficulties. None of the control participants had any severe issues to report. The PTLDS patients also reported a variety of other severe complaints, including neck pain, numbness or tingling in the hands or feet, irritability, low back pain, and headaches. As you might expect, given these issues, the PTLDS patients were also likely to score higher on depression questionnaires and lower on measures of quality of life. Unfortunately, the physical tests didn’t provide a clear indicator of the source of these issues, but it’s clear that these patients are still suffering. As 5-30% of the people who are diagnosed with Lyme go on to develop PTLDS, more research is certainly needed on this condition. I’ve written before about my take on chronic Lyme disease. I also think it’s a syndrome, not an infection. If it were an infection, antibiotics would clear it up. But they don’t. 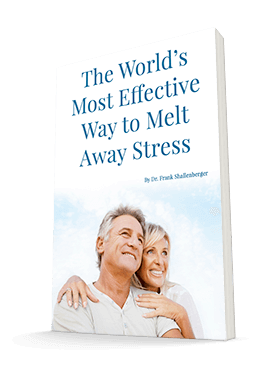 I think this syndrome requires a multisystem approach that can include ozone therapy, neurotransmitter therapy, hormone replacement, and supplements to promote detoxification and support the adrenal system to help resolve the wide variety of symptoms. If you’ve been diagnosed with Lyme and are still suffering even though your doctor is telling you the infection is gone, you need to find a doctor who understands the need for this comprehensive approach, which you can read more about in the archives. Start with the American Academy of Ozonotherapy (www.aaot.us). I’ve had great success in using ozone as part of my approach to treating patients recovering from Lyme, so you want to be sure your doctor is able to offer you this option.